DAYTON, Ohio - All season long opposing coaches have praised Temple coach Fran Dunphy for not only his ability, but character and how he runs a program. The praise has come with more frequency because this is Dunphy’s 13th and final season at Temple. Next season associate head coach Aaron McKie will take over. 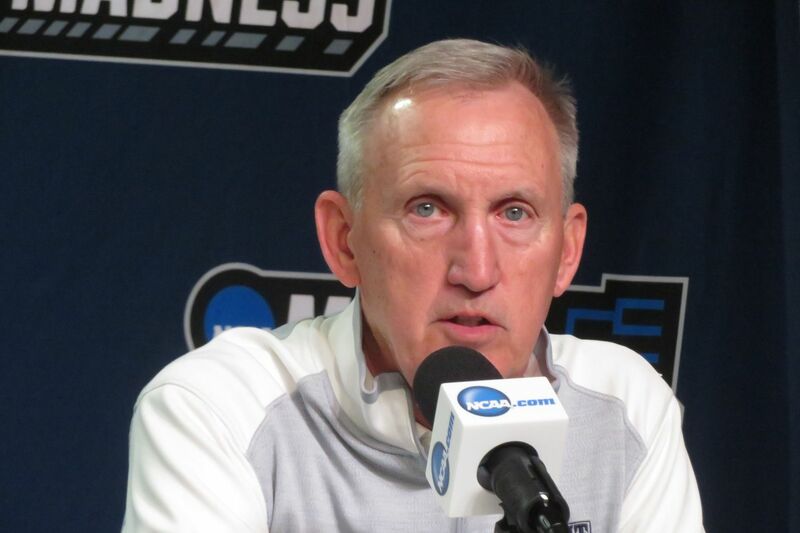 Rick Byrd, now in his 33rd season as head coach at Belmont, unprompted, began talking about Dunphy in his opening statement during Monday’s media conference at the University of Dayton Arena. “And if we don’t go further than this, I’ll be glad that Fran Dunphy is going further than this,” Byrd said. With his career winding down, Dunphy was asked at his press conference if he is getting more nostalgic or treasuring moments more because this is his last go-around. Dunphy has been consistent all year, doing his best not to make this about him. “I think at this point, you’re so busy and so caught up in what is happening in the moment and you are really worried about each and every one of the guys you are coaching,” he said. One thing is for sure, NCAA experience won’t be a factor in this game. Temple’s entire team has two minutes of experience. Senior Shizz Alston saw two minutes in Temple’s 72-70 overtime loss to Iowa in 2016. That’s two more minutes than Belmont has. The Bruins last appeared in the tournament in 2015.